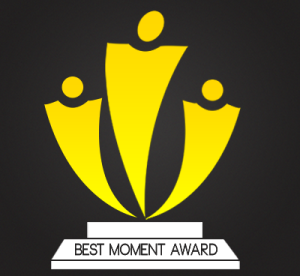 Yesterday I didn’t even know there were awards that are given out between bloggers on wordpress and today I woke up to a pleasant surprise of being nominated for the Best Moment Award by Zehira-Blog (http://zehirablog.wordpress.com/2013/08/06/best-moment-award/). Thanks to Zehira-Blog for this lovely honour. It hasn’t even been a month since I started blogging and finding out that my blog has inspired you so is more than encouraging. Thank you so much and I hope I can make sure this blog continues to entertain, inspire and inform everyone out there. I can surely not accept this without thanking Zehira-Blog so thank you so much for this honour. I hope I can keep this up when summer ends and I start with my second year at college. This blog has been a great medium to explore my interest in fashion and share my thoughts with the rest of the world. I wake up every morning with this sense of excitement, I rush to sign into WordPress and the first page I open on my computer is the Stats page for SamTotally. I love looking at the various countries that I got visits from during the night. I love how this blog has given me the power to reach out to so many people worldwide in such a personal manner. As per the rules I’m nominating 15 other bloggers whose websites are worth visiting and following. I read and enjoy their posts almost daily and have learned from them greatly. Congratulations!!! And thank you for the lovely nomination!!! This entry was posted on August 6, 2013 by samtotally in News and tagged awards, Best Moment Award, Blog, moment award, Nomination, Wordpress.